It’s summertime! The kids are out of school. The weather is at its warmest. And the outdoors is beckoning. 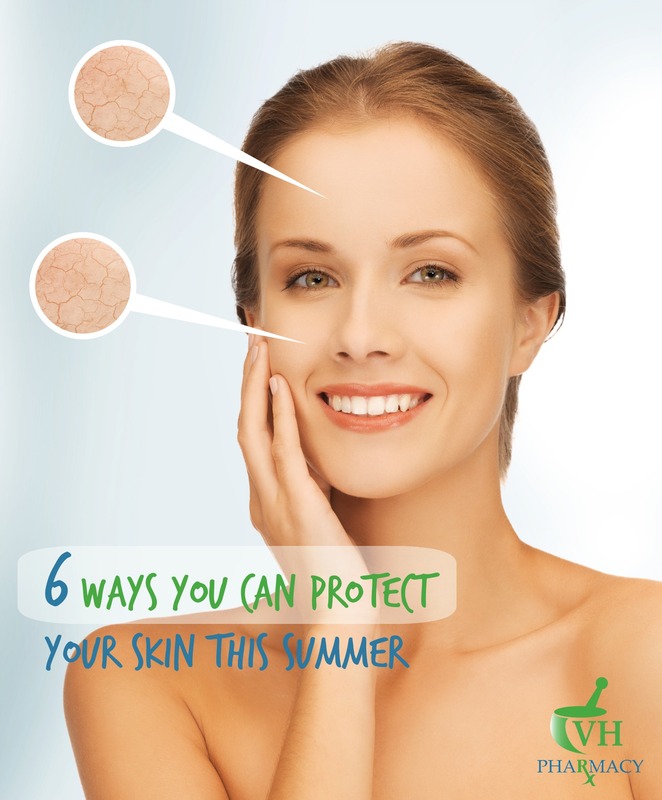 But summertime is an important time to stay diligent about skin care and skin protection so we’re sharing some tips that will surely keep your skin healthy and dewy, even as the mercury rises. You may think you only need to wear sunscreen when taking a trip to the beach or a dip in the pool, but even those walks to lunch or running errands can put you at risk of too much sun exposure. So be sure to make sunscreen application a part of your everyday morning routine, and it will surely become a habit come fall. The intense summer sun, in combination with the heat, humidity and indoor A/C, will wreak havoc on your skin. If you’re not using moisturizer, now is a good time to start. Use a moisturizer with SPF during the day but opt for a richer lotion after beach days and before bed to keep your skin hydrated and soft. Your body tends to lose a lot of moisture in the summer. So it’s important to drink lots of water and eat foods like cucumber, watermelon and pineapple, which all have high water content, to replenish the skin and keep it looking radiant. Your lips and eyelids are the most delicate parts of your face, and most susceptible to wrinkling, if neglected. Protect those sensitive areas with creams and balms. If your usual products are feeling a little too heavy in the summer heat, replace them with lighter formulas. We can’t talk about summer skin care without discussing bug bites. The combination of summer heat and moisture is a breeding mecca for bugs, and creates a flourishing population of mosquitoes, ants, ticks and bees. Commonly used insect repellents have the potential to cause damage to the nervous system, so I always recommend non-toxic alternatives. For example, 100-200 mg of thiamine, or Vitamin B1, taken orally for 1 to 2 weeks has been known to repel mosquitoes. And zinc, which can alter a person’s body odor, seems to make people less likely to be bitten. But if you feel you need a repellent spray, try California Baby, an all-natural product that is safe and effective. Of course, the holy grail of healthy, glowing skin during the summer and throughout the year is a healthy diet, a lot of sleep and moderate exercise. So in addition to the tips above, don’t forget to eat a balanced diet, get some exercise, get 7 to 8 hours of sleep a day. Enjoy your summer!